PredatorPee FisherPee Pure Fisher Urine is a natural porcupine deterrent made from the urine of the porcupines most feared natural predator - the Fisher Cat. The largest member of the weasel family, the fisher attacks porcupines by flipping them on their back to reveal their unprotected underbelly and thereby avoiding their quills. Create a "pee-rimeter" around your yard by using PredatorPee FisherPee Pure Fisher Urine liquid with ScentTags or 33 Day Dispensers, or spread PredatorPee FisherPee Pure Fisher Urine YardCover around and under structures. 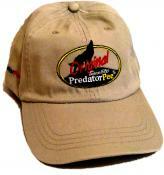 Find pure predator urine for porcupines here!